Outside the glamour of Bitcoin millionaires and record-breaking ICOs, few crypto-powered projects aim to resolve global issues. 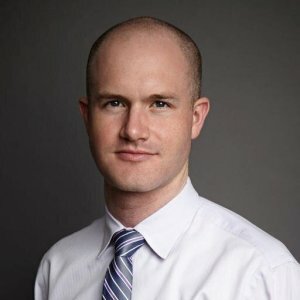 Coinbase CEO Brian Armstrong seeks to change this by launching a non-profit crypto charity, GiveCrypto. Since the rise of Bitcoin in 2017, cryptocurrency has fueled a wave of overnight millionaires. In their sudden rise to wealth, fortunate industry leaders are looking to use their accumulated digital assets and the benefits of its technology to directly aid those in economic crisis. Founded in 2018 by Coinbase CEO Brian Armstrong, GiveCrypto is a global foundation aimed at distributing digital currencies to people in need. The charity fund is framed as an “agnostic” platform, indiscriminate of the type of digital currency offered and encourages donations in any cryptocurrency – such as Bitcoin, Bitcoin Cash, Ethereum, Ripple, and ZCash. The charitable fund intends to raise $10 million by the end of 2018 and reach $1 billion raised by 2020. Armstrong has already donated a personal $1 million to the charity along with sizeable donations by Ripple Co-founder Chris Larsen, Ripple CEO Brad Garlinghouse, and Zcash CEO Zooko Wilcox. By using cryptocurrencies to distribute wealth amongst those in poverty, GiveCrypto can allot a greater portion of donor’s money directly to those in need – eliminating the cumbersome transaction costs of cross-border transfers and giving those without access to financial services complete control of their received donations. With Handup.org Co-founder Rose Bloom at the helm, GiveCrypto aims to hire teams of “crypto ambassadors” to help research regions where allocated funds would have the greatest impact and assist recipients with learning how to use cryptocurrency wallets. Initially, GiveCrypto will use a portion of donated funds to fuel starting operations but plans to eventually reach a structure where 100% of donations go directly to those in need. Recipients of crypto donations will have the option to exchange their funds for traditional money or keep them in cryptocurrency. For more information on GiveCrypto and details on how to donate, visit here.